As we are growing grayer, our expectations are also growing, and neurosurgical interventions are also being increasingly done in the elderly patients. There are various studies that show surgeries in elderly patients are successful most of the times and can avoid long-term disability and dependence, and age alone should not be the criteria to decide in favor or against the surgery. It is the presence and severity of coexisting pathology that govern the outcome in these patients rather than age alone. In traumatic and emergency surgeries, age directly affects the outcome, and geriatric patients with severe trauma usually carry a poor prognosis. With adequate preoperative optimization, skillful perioperative management, and clinical common sense, a good outcome can be achieved in elderly neurosurgical patient. In recent era, the development of advanced technology, new equipment, and neuroanesthesia/neurointensive care has expanded and revolutionized the daily neurosurgical practice. 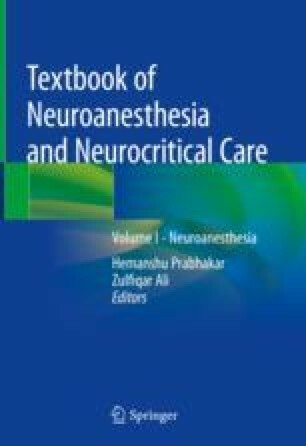 These techniques have enlarged the spectrum of conditions that are amenable to neurosurgical management. The proportion of geriatric population is following an increasing trend. The optimal management of geriatric patients is a challenge due to their depleted systemic reserves, polypharmacy, and geriatric syndromes. As compared to the younger patients, geriatric patients are at higher risk of adverse perioperative outcomes. A strong evidence is required to conclude whether neurosurgical intervention actually benefits these elderly patients or just increase the risk of perioperative morbidity and mortality. A multidisciplinary team approach involving emergency medicine experts, geriatricians, surgeons, anesthetists, and intensivists should work together to improve outcome in these patients. Royal College of Surgeons of England. Emergency surgery. Standards for unscheduled surgical care. 2011. http://www.rcseng.ac.uk/publications/docs/emergency-surgery standardsforunscheduledcare/@@download/pdffile/rcs_emergency_surgery_2011_web.pdf. Accessed 5 Oct 2013. Martin F. Comprehensive assessment of the frail older patient. http://www.bgs.org.uk/index.php/topresources/publicationfind/goodpractice/195-gpgcgassessment. Accessed 5 Oct 2013. Association of Anaesthetists of Great Britain and Ireland. Preoperative assessment and patient preparation. The Role of the Anaesthetist. 2010. http://www.aagbi.org/sites/default/files/preop2010.pdf. Accessed 5 Oct 2013. National Institute for Health and Care Excellence. CG 3. Preoperative tests. The use of routine preoperative tests for elective surgery. 2003. http://www.nice.org.uk/nicemedia/pdf/cg3niceguideline.pdf. Accessed 5 Oct 2013. National Confidential Enquiry into Patient Outcome and Death. Elective and emergency surgery in the elderly: an age old problem. 2010. http://www.ncepod.org.uk/2010report3/downloads/EESE_fullReport.pdf. Accessed 5 Oct 2013. National Institute for Health and Care Excellence. CG 65. Inadvertent perioperative hypothermia. 2008. http://www.nice.org.uk/nicemedia/live/11962/40432/40432.pdf. Accessed 5 Oct 2013.